The British Plastics Federation has pledged to be a ‘constructive and supportive partner to the government’ after Defra launched a consultation into an English Deposit Return Scheme. 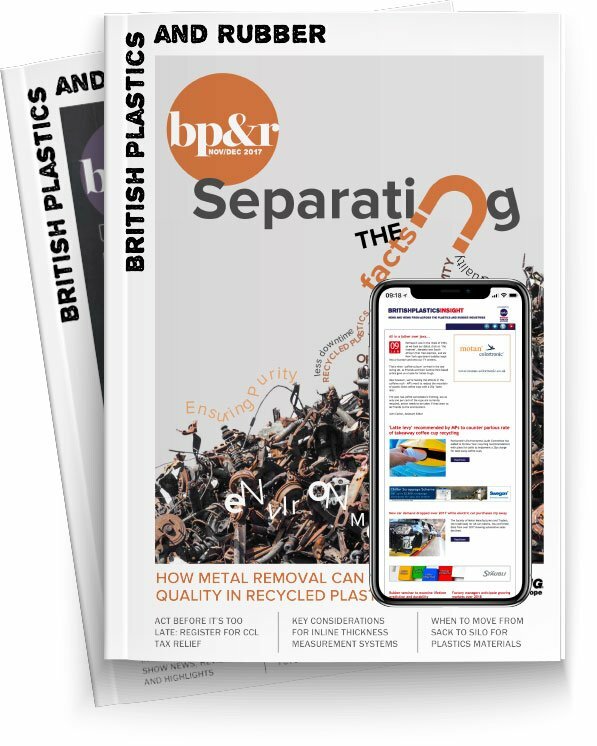 In a statement, the BPF said: ‘The British Plastics Federation welcomes the Government’s announcement of a deposit return scheme and the fact it is going to include all materials, which aims to boost recycling rates for all drinks containers. As the experts on plastics, we will be a constructive and supportive partner to the government as this is developed to ensure we get the details right. ‘We agree with Michael Gove that our mission should be to leave the environment in a better state than we found it. We are already working closely alongside brands and retailers, as well as NGOs, to tackle the issue of plastic waste and to make sure that we stop litter entering our rivers and seas. ‘We feel it is important that aluminium cans and glass bottles are also included in any deposit return scheme because – and this is a surprise to many – plastic bottles account for only two per cent of litter and 20 per cent of littered beverage packaging. For the sake of the environment, we want the scheme to reduce all littered beverage items found in our parks, rivers, beaches and streets. Samantha Harding, Litter Programme Director at the Campaign to Protect Rural England said: “This is a brilliant and significant decision by Michael Gove. I am thrilled that we will finally see the many benefits a deposit system will bring to England, not least the absence of ugly drinks containers in our beautiful countryside. Libby Peake, senior policy adviser at Green Alliance, said: “The government has just taken a fantastic first step in the fight against marine plastic pollution. It’s been proved that well designed bottle deposit schemes increase the collection of plastic drinks containers, which are the largest single source of plastic litter entering the seas from the UK. Other countries using them have recycling rates approaching 100 per cent. If we can reach the same level, it will not only benefit the environment but our domestic recycling industry too. Simon Ellin, director of the Recycling Association, said: “Normally, we would welcome any proposal that in principle would lead to an improvement in quality. Clearly, a deposit return scheme for plastics bottles, glass bottles and cans is likely to lead to a purer stream of material to recycle. David Wilson, Vanden Recycling UK Managing Director, said: "However, we need to work through the detail of the proposal, particularly to see which bottles are included and which are excluded. "Michael Gove and Defra are taking a collaborative approach to improving recycling in general, and we also welcome that the recycling industry and other stakeholders are being involved in these discussions with Government. "Currently, stakeholders across the plastic supply chain are developing a coherent plan to improve plastic recycling. This includes people from manufacturers, retailers, the recycling sector and local government, along with WRAP and INCPEN to bring it all together. "Together, we are aiming to develop a multi-layered strategy, of which DRS has a place, that will improve plastic recycling in the long term."